Any significant dietary change might cause a variety of side effects. Although they mostly depend on your overall state of health and differ from person to person, some of them are prevalent while starting a ketogenic diet. A headache, also called cephalalgia, is one of those unfavorable issues. Besides headaches caused by a keto diet, others may be of a different nature. In 2013, the International Headache Society classified headaches into three major categories based upon the source of pain, with further division into 17 particular types. That classification allotted such groups as primary and secondary headaches, and cephalalgia caused by cranial neuralgia. Inside of these groups, headaches are split into several types like tension headaches, cluster headaches, migraines and so on. If you’ve just seen the word “cephalalgia” for the first time and have no idea what a cluster headache is, some good news is coming along. You’ve probably faced a keto headache, which is usually temporary and might be avoided by taking certain precautions. How Long Does the Keto Headache Last? What is Causing Keto Headaches? Decrement in Blood Sugar Level. Unlike a chronic disease, on average keto headaches continue for a period in between a day and a week and might be entirely preventable. They are caused by significant metabolic changes in your body and vary depending on the person. For instance, if you have already followed a low carb diet, tried an intermittent fasting pattern and like eating vegetables on a daily basis, the odds are that a headache will go away in a day or won’t even occur when you initially start doing keto. In contrast to that, if you’re used to eating high-carb low-protein food and avoid veggies in a grocery store, there might be a decent chance that when you dive into keto you’ll experience a headache which will take a week or more to go away. If you want to avoid a keto headache or at least minimize it, you need to know what could’ve caused it. While headaches might be an absolute disaster and destroy your plans entirely, keto headaches sometimes can be treated with a ludicrous simplicity. Could you imagine that a headache could be cured by adding just a little bit more salt to your regular meals? Take a look at two main factors that might be the source of a keto headache. Electrolytes are chemicals which aid in the regulation of body processes. 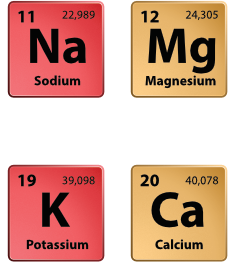 The basic ones are magnesium, potassium, calcium, and sodium. Their balance is essential for the healthy functioning of your body. When the concentration of electrolytes is either too high or too low, particular electrolyte disorders may crop up. 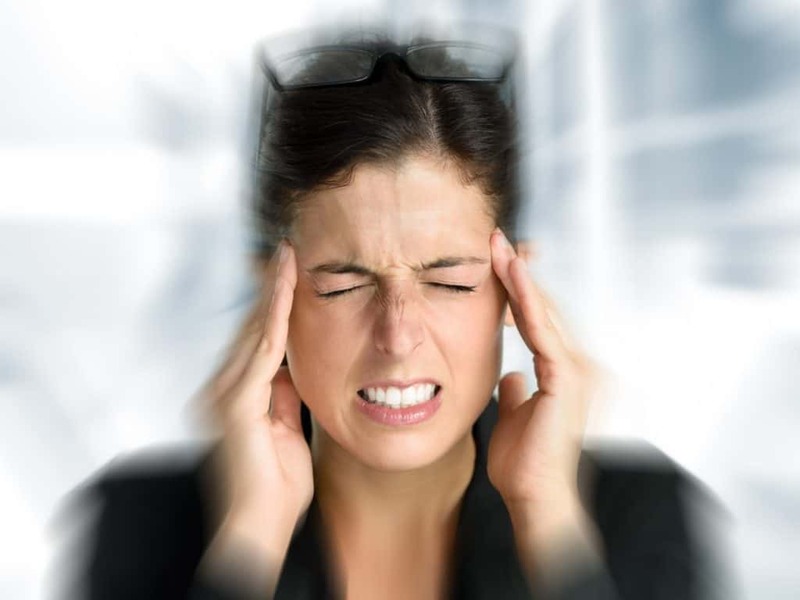 A headache is one of the symptoms you might experience when these disorders occur. Typically electrolyte issues are caused by excessive water loss because they are literally washed away from the body. Any rapid loss of liquid, either from a bout of diarrhea or just regular physical exercise sweating may cause an electrolyte loss. When you initially start your keto journey and cut back on carbohydrates, your internal carb storage, also called glycogen, is depleted. For every gram of glycogen used, your body gets rid of three grams of water, causing dehydration or the “whoosh” effect. The essential minerals are being flushed out and you may experience a headache. Below the rib cage, you have the kidneys — two bean-shaped organs, each of them made up of about a million tiny filters. They are responsible for maintaining a healthy balance of water, salts, and minerals. 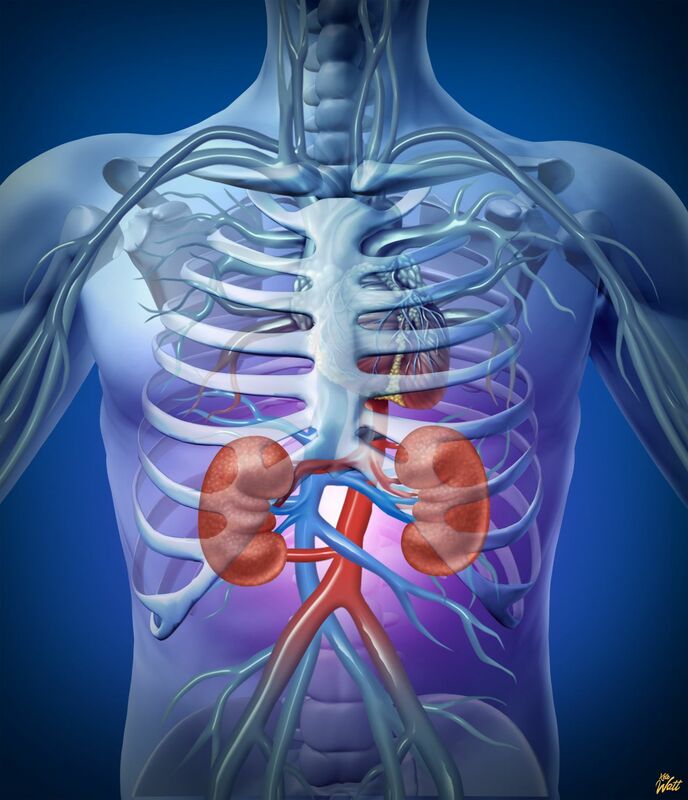 Blood enters your kidneys through the renal artery and is filtered as it goes all the way through them. As the blood goes through kidneys, they get a hormonal signal telling them to retain or excrete a certain amount of water. Basically, when your kidneys excrete water, it lowers the blood pressure as the blood volume decreases. On the other hand, water retainment increases the blood volume. When your kidneys shift from retaining to removing water, they simultaneously wash electrolytes away. If you ever noticed your urine is sometimes darker yellow and sometimes lighter yellow, that’s mainly because of sodium excretion. Due to homeostasis, a state of steady internal conditions, your body will seek a way to maintain a concentration of minerals within its regular range. That will result in shrinking the blood volume and might cause those unhealthy symptoms like headaches or dizziness. The best way to treat a headache caused by electrolyte disorders is to replenish these electrolytes. The most important of them, related to keto headache treatment are sodium, potassium, and magnesium. Regarding keto headache treatment, sodium is probably the most critical mineral as it regulates blood volume. 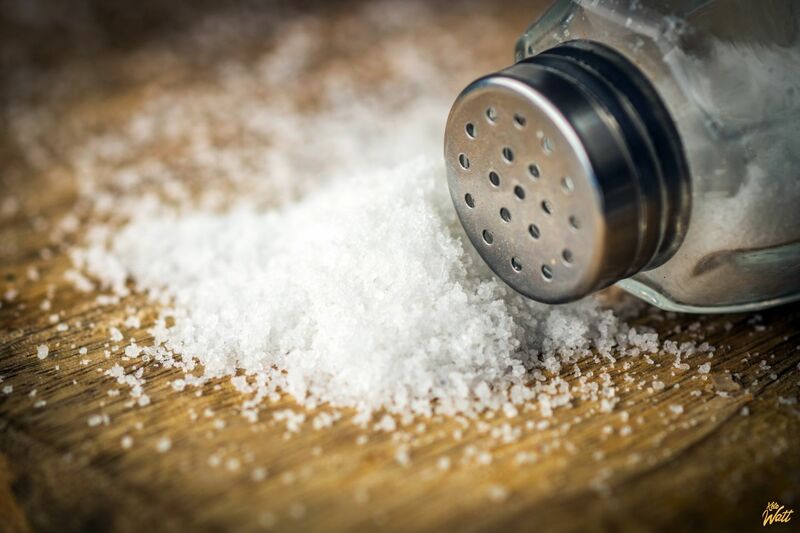 A large international study, which included 101,945 participants and was published in the New England Journal of Medicine in 2014 claims that daily sodium intake should be somewhere in between 3–6 grams per day. The most significant source of sodium is plain salt. Different sorts might have different sodium content, though a regular table salt or sea salt are both about 40 percent sodium. Roughly your daily intake should be about 2–3 teaspoons. Bouillon cubes are also a great option. Read the label to make calculations and dissolve the required amount in a cup of water. The second most important mineral, as it is 1 of the 4 major nutrient shortfalls in the American diet. The adequate intake was established at 4.7 grams per day by the Institute of Medicine. Spinach. Cooked spinach has 466 mg of potassium per 100g. Avocados. Raw avocados contain 485 mg of potassium per 100g. White button mushrooms. 318 mg per 100g. Pork. 423 mg per 100g. Magnesium is fundamental for more than 300 body processes. Its recommended daily intake is about 400 mg. Although it is naturally present in many foods, the majority are avoided when on a ketogenic diet. Some of the most significant sources of magnesium that are still available are leafy green vegetables. Three cups (180g) of cooked spinach could replenish your daily needs. Kale and turnip greens are good as well, though you need to eat above a kilogram of raw leaves each day to constantly refill that mineral. Replenishing magnesium with other leafy greens will require you to eat even more. For example, getting a recommended daily amount by eating cabbage would require you to consume about 3 kilograms each day. That might cause you to exceed the recommended daily number of net carbs. Other great sources are halibut and salmon. Ten ounces of any of them will provide you with roughly 20% of the recommended daily magnesium value. Almonds, macadamia, and cashews nuts, as well as pumpkin and hemp seeds, are also excellent magnesium providers. They are high-calorie and thus have to be consumed carefully. Their taste makes them easy to overeat and hence may cause you to exceed your daily caloric and net carbs intake. Dark chocolate, containing 70–85% cocoa solids, also supplies significant magnesium. If you like eating chocolate and don’t want to give it up while doing keto, choosing a dark one with at least 70% cocoa solids concentration might be a genuine outlet for your chocolate cravings. Just keep two things in mind — pick the highest cocoa solids percentage and watch out for total net carbs eaten. Last but not least, avocado is also high in magnesium. While trying to replenish your daily magnesium with solely avocados might dramatically increase your caloric intake, eating one or two a day might be a reasonable idea. It might be reasonable to get as much magnesium as you can from natural sources. If that still appears to not be enough, you might consider using magnesium supplements. Ask your local pharmacy technician for their advice. Do not go berserk eating as many minerals as you can get. Staying within a certain recommended level is the safest way to maintain health. Every medal has its reverse. Drinking a lot of water might be good because it assumably aids in weight loss. This study, which involved 7 male and 7 female volunteers, suggests drinking 500 ml of water increases metabolic rate by 30% and sustains this effect for about an hour. Another study, which involved 173 overweight dieting women and assessed them at baseline, 2, 6 and 12 months, suggests that an increase in drinking water is associated with a significant fat loss over time. Although, drinking too much water might cause overhydration and promote electrolyte depletion, which might be bad for your overall health. The best piece of advice might be to drink when you’re thirsty and not drink when you don’t want to. Don’t compel yourself to drink to a recommended daily amount, drink to thirst. Dr. Eric Berg, ketosis and intermittent fasting specialist, claims a headache can sometimes be a hypoglycemic issue, happening when you’re trying to switch your body from running on glucose to using ketones as a source of fuel. Cutting carbohydrates down to a certain level is an essential part of a keto diet. When you do this, your blood sugar level inevitably drops, forcing your body to adjust to new conditions. During this adaptation period, your brain is the primary organ to be affected because it’s addicted to glucose and yet isn’t used to utilizing ketones. Furthermore if you decide to combine a keto diet with intermittent fasting, which is a technique used every so often you will drop your glucose level even lower and might enhance head pain. That pattern might be reasonable when you’re far into ketosis, but it might worsen the issue initially. That is as well implied by the National Institute of Diabetes and Digestive and Kidney Issues, which suggested that skipping or delaying meals might cause a glucose drop and contribute to hypoglycemic issues, including headaches. When you switch over to a high-carb low-fat intake, your liver and gallbladder have to figure out the required number of fat-burning enzymes to effectually convert an increased amount of fat into fuel. That may take some time depending on your body’s adjustment ability. During this process, you might face a situation when you are low on glucose and aren’t able to leverage ketosis beneficially yet. If you suffer from a headache and want to know if it’s connected with a blood sugar decline, you have to increase your glucose level. If the pain level has instantly improved that might be the case. Eating regular meals and snacks is crucial to the maintenance of a healthy insulin level and to the treatment of these headache types, suggests the meta-analysis publication by Bharti Research Institute of Diabetes and Endocrinology. But consuming carbohydrates for that purpose is a dangerous mistake, because it may kick you out of the ketosis. Doing so to cure the pain is pointless because when you lower the number of carbohydrates once again you might face precisely the same issue. Instead, you can increase protein consumption. In a state when glucose is absent your body will turn on gluconeogenesis — a metabolic pathway that results in glucose production from non-carbohydrate sources. It will increase your blood sugar without disrupting ketosis. When the headache is gone, gradually decrease protein consumption to the recommended level. It also might be a good idea to temporarily reduce your physical activity intensity in order not to waste the glucose left in your body. Several studies in mice have researched this idea and have suggested that a ketogenic diet may be of value in the treatment of recurrent hypoglycemic conditions. If a headache is mild and doesn’t affect your life too much, it might be better to wait until it goes away by itself. Eventually, your body will figure out how to produce enough enzymes and convert all that fat into rocket fuel. But there’s something you can do to speed up this process. You have to empty your inner carbohydrate tank and deplete your body of glycogen. To do it you need to reduce daily carb intake to 10g and work out with high intensity. When glycogen is absent, your body has no other options but to produce enough ketones as soon as possible. Both of these solutions solve the same problem using opposite methods; both of them work, though theoretically the second one will turn ketosis on a little bit faster. Neither is any better or worse at treating this type of headache issue, it depends on the pain intensity, and you should choose one according to how you feel. While those factors listed above are the major ones, they are not the only things to take into account. Some small tips may also help you overcome that temporary headache issue with minimal discomfort. When you combine a diet with reasonable training, you get a synergistic effect. There’s a study published in “Applied Physiology, Nutrition, and Metabolism” in 2017, which included 30 men and women and evaluated the efficiency of two interval exercise types on increasing resting metabolic rate (RMR). It suggested that Wingate-based sprint interval training provided a time-efficient stimulus to increase RMR after four weeks. Another interesting study suggests that during exercise of the same intensity, fatty acid metabolism is higher for endurance-trained individuals compared to sedentary ones because the first ones have enhanced mitochondrial fatty acid uptake. A high-intensity interval exercise regimen is a great way to increase both aerobic and anaerobic fitness, which might eventually result in better metabolism and whole body fat oxidation. Since a keto diet is high-fat, improving fat metabolism is a beneficial factor in keto-adaptation and avoiding distressing issues like a headache. Also working out makes it easier to convert to ketosis because intensive physical activities burn glycogen up and force your body to fuel up with ketones. Exercising literally improves the metabolic flexibility of fuel selection. Easier said than done. Probably every single person is under pressure when trying to pursue their goals. A change causes stress, even thinking of a change may do it. Is stress bad? It depends on its nature. While there’s bad stress called distress, there is also good stress called eustress. The second one challenges, strengthens and develops energy, the first one overwhelms and might make you suffer anguish. Whether an issue becomes a certain kind of stress highly depends on your mindset. When you learn how to think strong and build confidence, you get rid of distress and contribute to eustress. That allows you to shorten the adaptation period to any change, including a transition to a keto lifestyle. Literally, fill up your schedule and make it action-packed for a few days, so you have no time to think of headaches. Make sure to include something you are fond of. Doing things you genuinely enjoy triggers the release of endorphins, which aid in headache treatment. Sometimes head pain might hurt so bad that just getting up is a struggle. While curing headaches is essential to feel alive, preventing them is the best option to stay consistent when starting to follow a ketogenic diet. These tips might help you diminish the headache issue or even avert it. They are either based on how you treat headaches or come from an adjacent area, but all of them are reasonable enough to be useful. Remember the section about electrolyte disorders? The best you can do is to start refilling electrolytes before you experience any adverse symptoms. On the very day you are starting a keto diet, visit a pharmacy and get yourself a good magnesium supplement. Start taking it according to the instructions. Double the amount of recommended leafy green vegetables before you dive into a ketogenic diet. Crumble them into a salad and add to every single meal throughout a day. That will help you get used to eating a lot of leafy greens. Subsequently, when you start your keto journey the number of carbohydrates may exceed the recommended numbers during the first days, but that will help you get into ketosis gradually and avoid severe difficulties. Because following a keto lifestyle is not about bacon and oils, it’s about eating healthy. Sometimes people go from one extreme to the other. Yesterday they had muffins with a double latte for each meal, and today they are eating pure solar energy. This approach is the shortest path to failure. Yes, both muffins and a double caramel latte are unacceptable during a keto diet, but definitely not because of caffeine. Actually, coffee might contribute to weight loss. 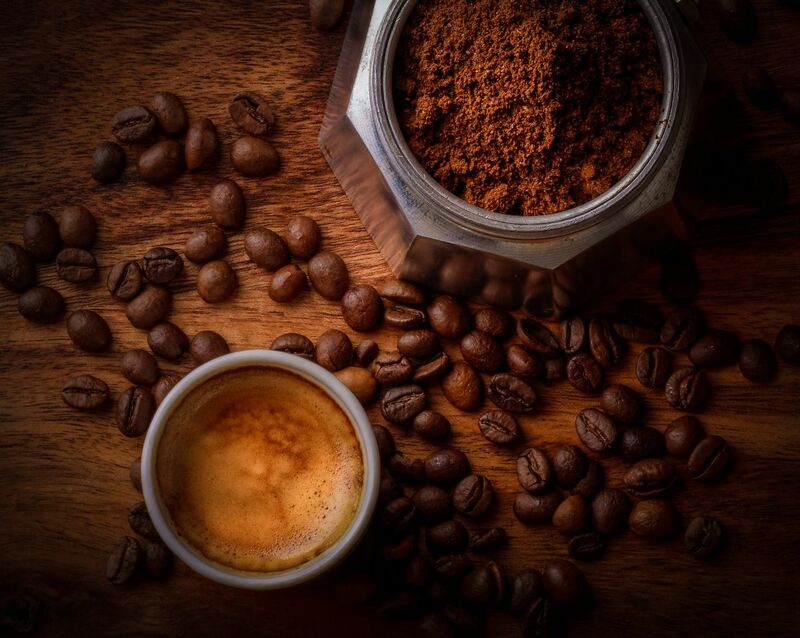 If you’re an avid coffee drinker and decided to quit caffeine when starting keto, you need to know that caffeine withdrawal may lead to a headache. There’s a meta-analysis study by the University of Cincinnati College of Medicine that suggests caffeine withdrawal to have the strongest evidence of causing headache attacks. If you want to turn the page on how you eat, make sure you arrange “a keto diet” and “caffeine withdrawal” into different paragraphs. Along with the other unpleasant keto flu symptoms, headache usually occurs when the metabolic changes are drastic. Hence if you find yourself eating 300–500 grams of carbohydrates per day, jumping right into a keto lifestyle might not be the best idea. Instead, you might try cutting carbs by 10–20 percent each week until you reach a desirable number. That may delay your keto launch, but will allow you to prepare your body in a proper manner and subsequently go much farther. Keto is not a sprint, it’s a marathon, and the marathon requires a moderate pace. A keto diet might cause a headache when your body is shifting to a new eating pattern. That is true. However, that is also true of anything that causes significant changes in your body. What is important is that this type of headaches is temporary. Furthermore, several studies suggest a ketogenic diet is an effective treatment for cluster headaches and is more effective than a standard diet in reducing the frequency of migraines. The implication is, despite a possibility of going through a temporary headache, this diet is a great tool to cure more complex types of headaches. If a perfect human decided to start a keto lifestyle he would visit the best hospital in the world. His blood panel of fifty tests on a thousand parameters would be performed by the most precise hematology analyzer. A brilliant MD–PhD scientist, one of the recent Nobel Prize in Physiology or Medicine recipients, would interpret this data and give his most accurate recommendations. While driving back home, the perfect human would pull up at the most expensive pharmacy to get the best supplements. And he could still face a keto headache. Because sometimes things might be unpredictable. Is that a reason to quit a keto diet? No. Those issues might happen, but they pale in comparison with all the benefits keto diet provides. If you encountered a headache right after you started doing keto it’s probably of two major natures. Either connected with electrolyte disorders or an insulin drop and further body adaptation. Or both. Just use this guide to treat that headache properly. In most cases, those symptoms will vanish in a few hours or days. Don’t get upset, at least you haven’t bumped into diarrhea, which is one of the other symptoms of a keto flu. Though, if you’ve been unlucky to face it as well, there’s a simple guide explaining why it could’ve happened and how to treat it. Notice: If you experienced headaches of any kind before starting a ketogenic diet and find the severe pain grows as you go further into a low-carb high-fat lifestyle, you have to contact your physician immediately. An only officially qualified person is authorized to give legit medical advice regarding your particular health issue.